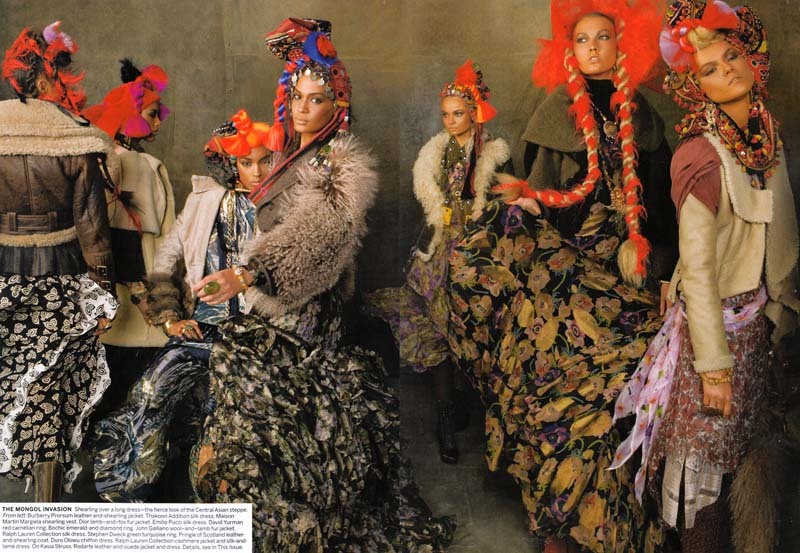 In the words of Diana Vreeland: “People are talking about…” polar opposites! And jewelry, of course. 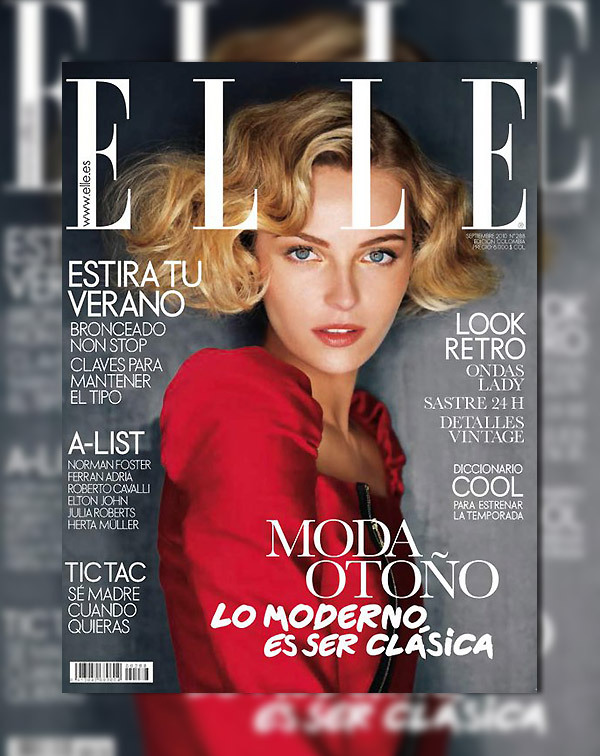 As far as clothes go, the common thread among all the September magazines seemed to be best described on the covers of Elle Spain, which announced in bold letters “Lo Moderno es ser Clasica” (It’s Modern to be Classic), and Vogue UK’s “Minimal Chic”. Fall is about streamlined silhouettes with pops of bold accessories. The specific jewelry list? Long, swinging pendant necklaces, silver cuffs and bangles, gold link designs, shoulder-grazing earrings, sophisticated cluster studs and gemmy cocktail rings in sunset colors. Plus, “buy” pendant charms, “keep” heavy metal such as hefty cuffs and “store” bib necklaces, the editors of Harper’s Bazaar advise. All mags featured long pendant necklaces, cuff bracelets and bangles in the fall issues. Bib necklaces, an editor favorite over the past few seasons, appear to have been banished to the back of jewelry boxes for now, replaced by an eclectic mix of neck-circling styles, from simple pendants and loose, low-hanging multi-strand necklaces to ladylike pearls and opulent sautoir styles. Minimalism and opulence going hand-in-hand. 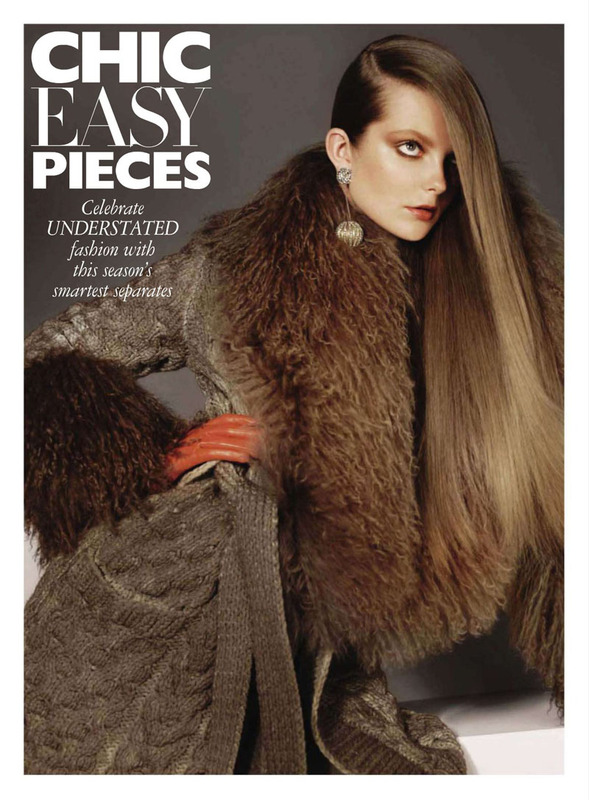 Sumptuousness will be other keyword for fall, as evidenced through the number of editorial spreads highlighting a diversity of attention-grabbing textures and materials, from furs and nubby tweeds to rich velvets, lushly embroidered coats and chunky knits. The jewelry to match must be statement-making in its own right to stand out from this lavish array of fabrics, the fashion magazines illustrate via their editorials. This season is also ripe with ’50s inspiration as channeled through long A-line skirts and dresses, and form-fitting cardigans, in addition to menswear-inspired looks and fine tailoring, primed for wearing with signet rings, oversized watches and the season’s ubiquitous long pendant necklace. 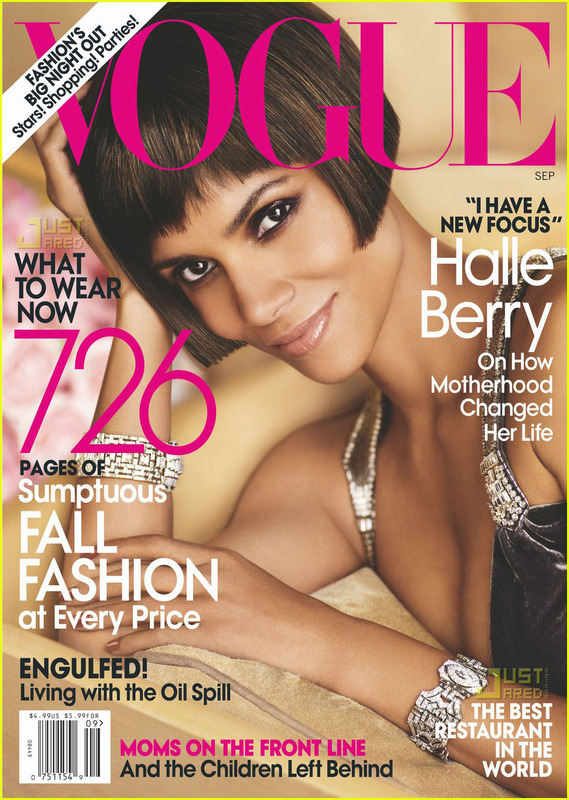 Below, some pictures from Harper’s Bazaar and Vogue, both from September 2010. This entry was posted in Fashion, Fifth Avenue, Fine Jewelry, High Jewelry, Inspiration, Jewelry Shopping, New York, Red Carpet Jewelry, Trend Alert and tagged fashion, Fifth Avenue, fine jewelry, high jewelry, inspiration, jewelry shopping, Jewelry Trend, New York, Red Carpet Jewelry, Trend Alert. Bookmark the permalink.